As spring draws near, gardens and yards are, again, slowly showing signs of life and color. It's as though a great white and grey bird is waking, spreading its feathers and revealing a vibrantly colored breast and wings. Treat yourself to a smile - stop by a local market and splurge on some bright and cheerful blooms to add some warmth and joie de vivre to the last remaining days of chill. 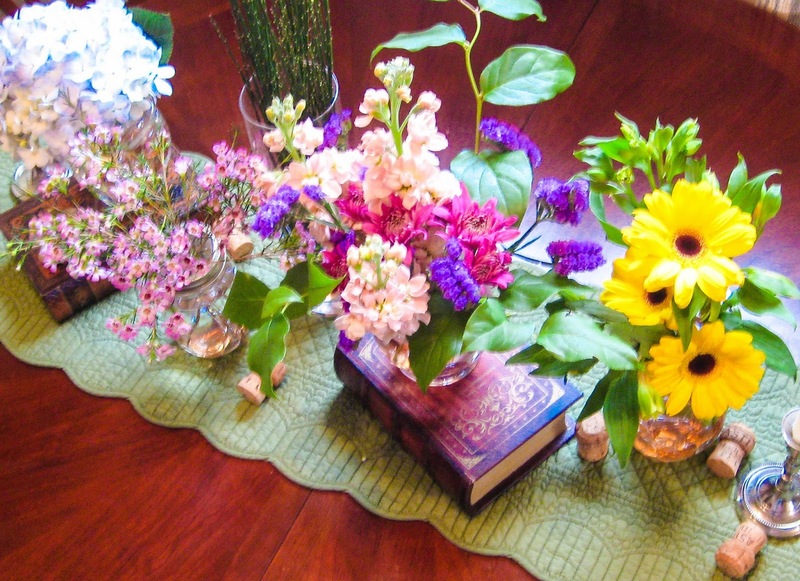 I just found a mixed bouquet of flowers - hydrangea, stock, peruvian lilies, gerbera daisies - that I loved at Trader Joe's. 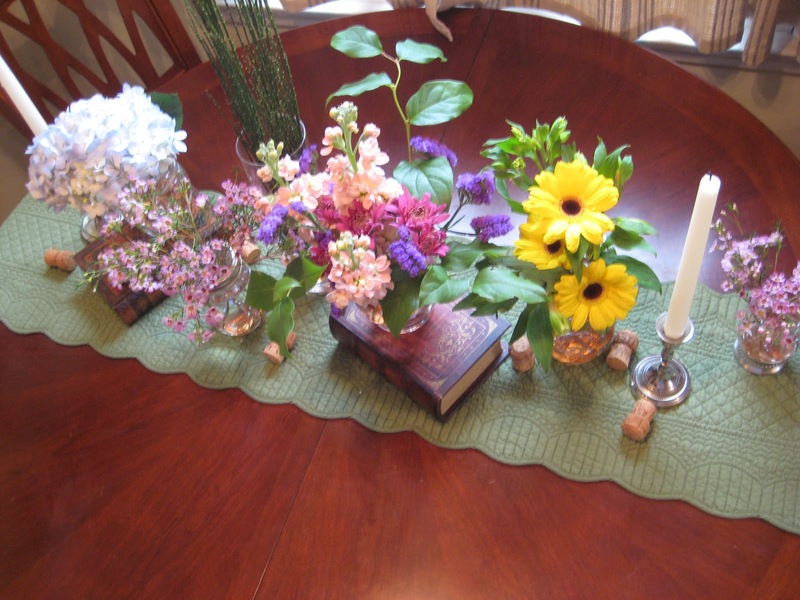 This time, however, instead of making an arrangement, I separated out the blossom types and created a flower-scape with old books, a quilted runner, candles, and colored glass. Something about the color variation and the different textures of the flowers makes me smile every time I pass by - even if it is only to grab my keys and head to work!